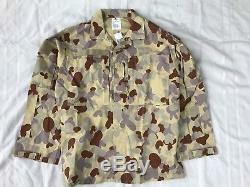 Original Australian Army surplus in the venerable DPDU (Disruptive Pattern Desert Uniform) colloquially known as Desert Auscam. 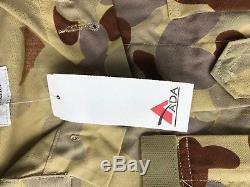 This completely unissued uniform is surplus from the recent campaigns in Afghanistan and the middle east and is now rendered obsolete due to the introduction of Australian Multicam making this a great collectable uniform. Shirt is a summer issue with a lightweight polycotton construction. 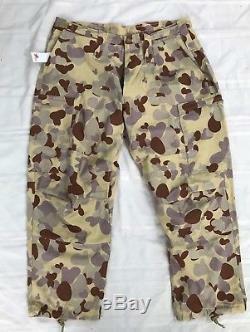 2 x zipper Breast Pockets. Button closure front, some will have shoulder pocket. 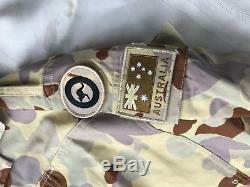 Still has Australian Air Force'Biscuit' and Desert Australian Flag patches attached to the sleeve. 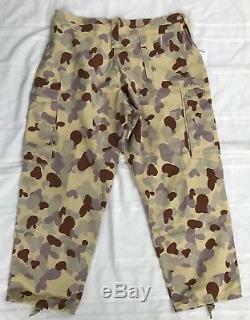 Pants are of a slightly heavier polycotton construction, features 2x hip pockets, 2x cargo pockets and back pocket. Cuffs have an elastic cord for blousing over combat boots and a plastic cord lock. 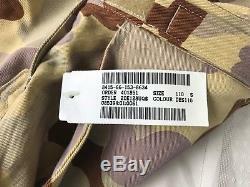 Both shirt and pants still have the issue tag attached and show minimal storage wear. 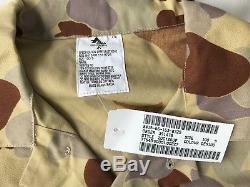 The item "Australian Army DPDU'Desert Auscam' Air Force Combat Uniform Unissued with Tag" is in sale since Friday, November 24, 2017. 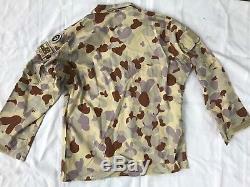 This item is in the category "Collectables\Militaria\Surplus". The seller is "davidsonmilitaria2015" and is located in Katoomba. This item can be shipped worldwide.